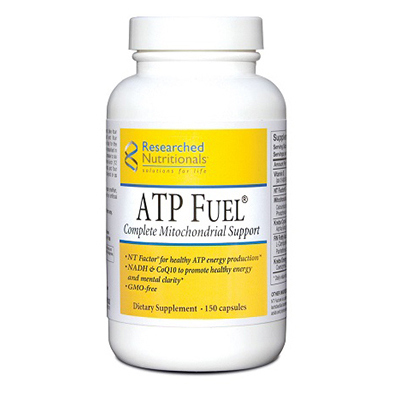 150 Capsules: ATP Fuel® is designed to support the Krebs Cycle of cellular energy production. The Krebs Cycle takes place inside the mitochondria or “power plant” of the cell and it is the body’s primary energy producer. ATP Fuel® is formulated for athletes and patients seeking optimized energy.